The Ashaway Ti MAX 300 badminton racket has been provided with Rally 21 micro string that will meet the needs of regular and improving players. The racket can be a good choice for newcomers to the game who expect a lightweight racket that will provide them with a balance between power, control and precision. It is made from a high modulus graphite shaft and the head is aluminium. The racket features a square head, mid balance and medium flex. The main stringing tension of the racket is between 18lbs to 22 lbs. The racket weighs 90g and is factory strung. It comes with full length cover that is a bright red zip-up bag. 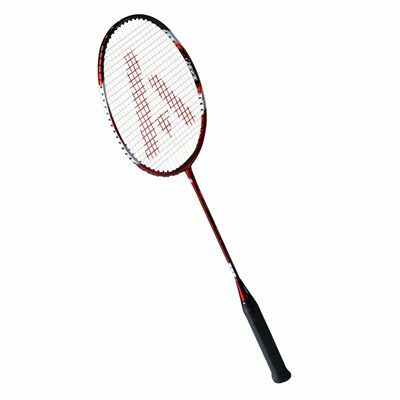 for submitting product review about Ashaway Ti Max 300 Badminton Racket.